November 1, the first day of a new month. A harmless, run-of-the-mill Wednesday. If I weren’t an Early Decision applicant, perhaps it would have been just that. If someone had asked me just a few months ago whether I would be applying Early Decision to any college, my answer would have been a definite “no.” Someone as indecisive as me couldn’t possibly commit to a college so soon, and if I wanted to apply early, it would be through Early Action. But, as I learned through the process, plans change. I never did fall in love with a college. But after some research and a few college visits, I thought I could see myself at one of schools on my list, at least more so than the others. That was enough. I knew that it was unlikely I would consider just one college the ideal fit for me, so I decided to apply to the one where I could most easily picture myself spending four years. Combined with the possibility of being accepted to a university by the end of the year, applying early seemed like the best option. 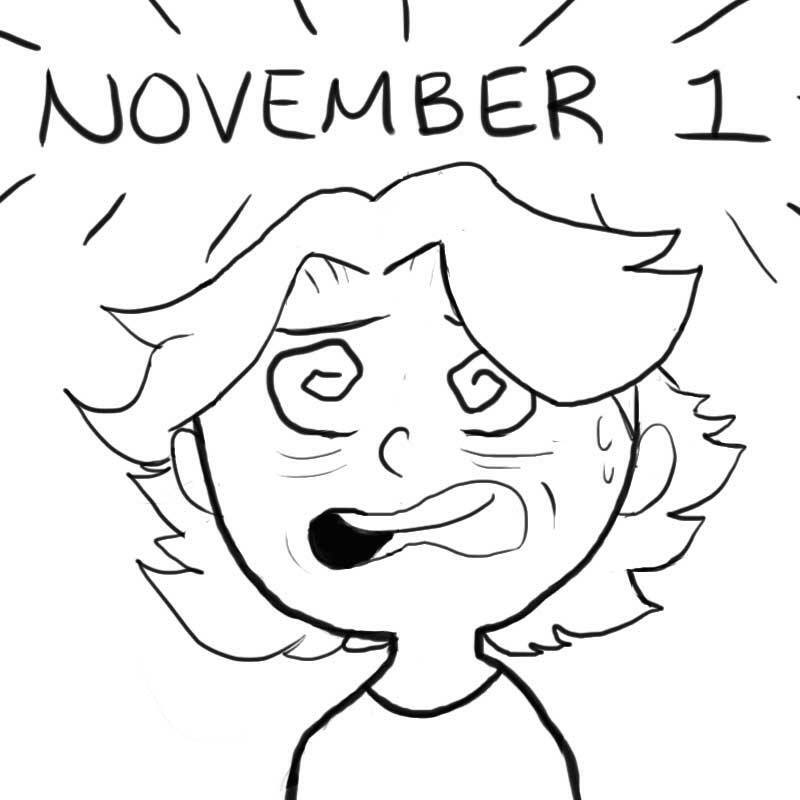 Besides, November 1 seemed like such a distant, manageable deadline. November 1 crept up faster than I expected. When school started, I was swept up in the routine of schoolwork: seminar reading, physics quizzes, calculus problems, and more. College remained in my thoughts, but I always told myself, “I’ll work on it later.” I had more immediate deadlines, after all. “Later” turned into days, and days into weeks. Soon enough, November 1 was one of those immediate deadlines. It was mid-October. I had around two weeks to write all of my supplements and polish a barely finished draft of my college essay. The looming specter of college seemed to grow larger and larger, but every time I sat down to write, it was more than school that kept me from getting my work done. It was also the pressure of wanting what I wrote to be perfect. I fluctuated constantly between thinking I could get into an Ivy League if I tried, to doubting if any school would accept me. I ran countless worst case scenarios in my head, and those made me log out of the Common App without contributing even a word to my essays. Just the thought of having to write scared me away. I told myself to accept that it would be awful on my first go, and spent a few minutes writing as if I was doing a focused free write. Three years at BHSEC make you quite good at those. My supplements were awful on my first try. But now I had something to work with. Now I had something concrete, something that at least resembled the thoughts in my head. I switched sentences around, replaced words, and even scrapped a supplement completely. As the process continued, it grew less terrifying, and I grew more productive. (I drafted an entire essay in one night, and edited it the afternoon after.) Once my writing reached a presentable stage, I asked others for their opinions. By the time I considered my college essay done, at least seven people had read it. Once again, I switched sentences around, replaced words, and mulled over whether I should do this or that. I continued to mull over my options almost until the end. At 11:53 PM on November 1 (do yourself a favor and submit it earlier), I submitted my first (and hopefully last) college application. I didn’t exactly experience a wave of relief and glee when I finally hit the “Submit” button. Many of fears remained, and much of the stress that weighed down on me continued to do so. Plus, I had my regular schoolwork – which I had neglected to work on my Common App – and the additional supplements I had to complete in case I was rejected or deferred from my first choice. Still, each time someone asks me if I’ve applied anywhere and gives me a “Good luck!” with a smile, I’m a little more hopeful. I’m a little more hopeful that December 15 will be more than a run-of-the-mill Friday. Maybe for this early applicant, it’ll be a day to celebrate.